Anxiety is the most common mental illness in the United States. However, depression follows close behind. It has been estimated that upwards of 300 million people worldwide suffer from depression. Of this 300 million people, 16.2 million are Americans; this equates to 6.7 percent of our adult population. There are several types of birth control available, but the pill remains the most popular options. Studies indicate that amongst women ages 15 to 44, approximately two-thirds use a form of birth control. 16 percent use the pill. Female sterilization is the next most popular form of birth control at 15.5 percent, followed by condoms at 9.4 percent. The use of intrauterine devices (IUDs) is becoming increasingly more common, at 7.2 percent. What am I talking about? Birth control and depression? Do these two very different topics have any link? Perhaps. Let’s do some digging into the relationship between depression and birth control. Many patients have reported depression as a side effect of hormonal birth control. So many women have reported this side effect, in fact, that there have been several studies to evaluate this concern. A 2008 study, published in American Journal of Obstetrics and Gynecology, evaluated 608 women who used either injectable birth control or a birth control pill. Researchers evaluated 17 symptoms prior to the imitation of the birth control, and every six months for a total of 24 months. This study did not reveal any definitive association. Can Birth Control Make Depression Worse? However, a newer study shows a more definitive link between depression and birth control use. This study evaluated Danish women over the age of 14 between the years of 2000 and 2013 who had certain diagnosis codes and prescription codes. How did this study find this link between birth control and depression? This risk was seen in all types of hormonal birth control. 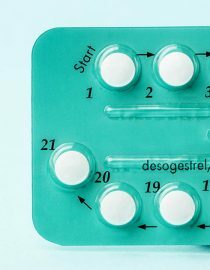 The highest risk seemed to be with progesterone-only forms – especially for non-pill types, such as patches, IUDs, and rings, and for ages 15-19. The IUD is believed to act locally, and this may not be true as we may not have evidence that it can cause depression. When discussing the side effects of birth control, it is important to discuss this side effect. Can Birth Control Make Depression Better? On the flip side, can birth control help depression? It can be a delicate balance. In the Harvard Study of Moods and Cycles, 14 percent of women with a previous history of depression had an improvement in mood with the use of oral contraceptives, while 25 percent of women with depression had worsening premenstrual symptoms while taking birth control. However, too little estrogen can cause serotonin levels to plummet, which can precipitate depression, whereas too much can cause serotonin to skyrocket, causing anxiety. So, yes – birth control may improve depression symptoms in some women – but the dosage of the specific hormone must be just right. Research likely links birth control and depression. If you are feeling depressed, regardless of your type of your birth control, you should speak with your physician.